Come out for a pitch perfect pint with us! Our Tipsy Choir will be the highlight of the week. 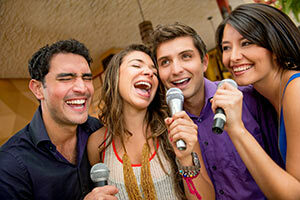 Come learn a 3 part harmony of your favourite hits – NO EXPERIENCE NECESSARY. This is all for fun! Locations, dates and times will be announced on our Facebook page, as well as song selections. (this pays for SOCAN and the Lyric Sheets).